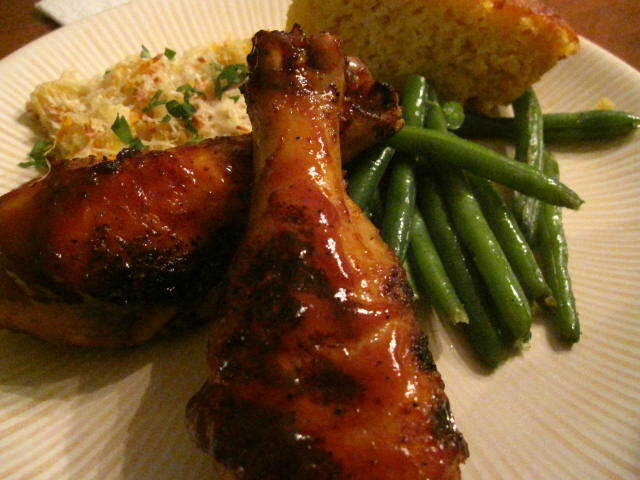 Honey-Sriracha BBQ chicken with baked mac and cheese, green beans and cornbread. 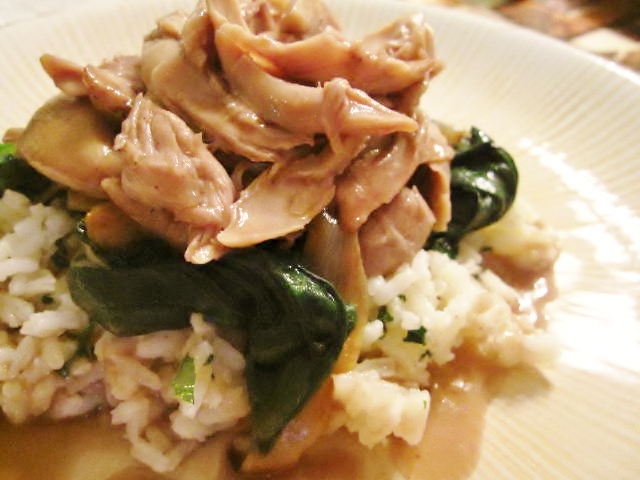 Braised chicken drumsticks over spinach and herb rice. 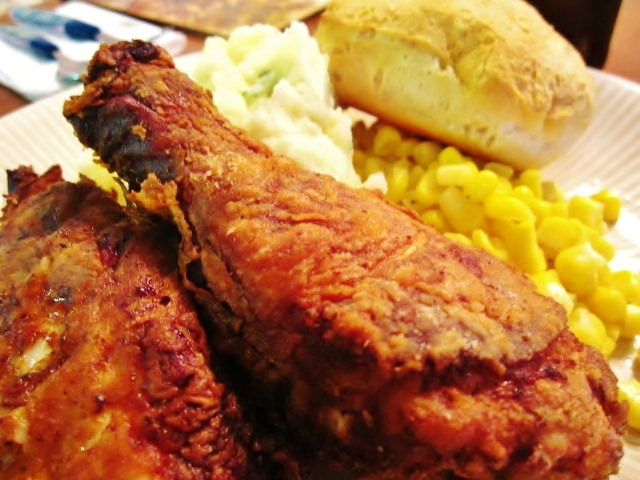 Buttermilk Fried Chicken with mashed potatoes, corn and biscuits.